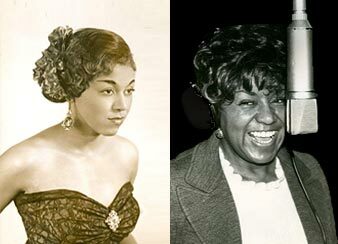 Rose Marie McCoy may be the most prolific songwriter you've never heard of. Born in 1922, Rose Marie McCoy grew up in a tin shack in rural Arkansas. By the 1960's her songs had been recorded by Nat King Cole, Elvis Presley, Dizzy Gillespie, Ike & Tina Turner, Big Maybelle, Ruth Brown, James Brown, Sarah Vaughan, Johnny Mathis and Aretha Franklin. McCoy's success was even more remarkable in an era when blacks and women were largely excluded from the business side of the music industry. But despite publishing over 800 songs, McCoy remains largely unknown. 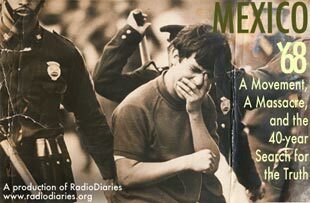 In the summer of 1968, students in Mexico began to challenge the country's authoritarian government. But the movement was short-lived, lasting less than three months. It ended on October 2, 1968, ten days before the opening of the Olympics in Mexico City, when military troops opened fire on a peaceful student demonstration. The shooting lasted over two hours. The next day the government sent in cleaners to wash the blood from the plaza floor. The official announcement was that four students were dead, but eyewitnesses said hundreds were killed. The death toll was not the only thing the government covered up about that event. clairvoyant, a businesswoman, an advocate for women's rights and sexual freedom, and a magnet for media attention and scandal. Her 1872 campaign came at a time when most women did not even have the right to vote. At the 1896 Democratic Convention, Bryan gave a speech that electrified his party and won him the nomination. His Cross of Gold speech is known today as one of the most important oratorical performances in American history. The presidential campaign of 1952 pitted the immensely popular General Dwight D. Eisenhower against the ferociously intellectual and intensely private Adlai Stevenson. It was an election fought on a new battleground: television. In 1964, Margaret Chase Smith became the first woman from a major party to run for President. The Republican Senator ran as a staunch hawk and expert on national defense while she handed out muffin recipes at campaign stops. In 1972, Shirley Chisholm launched a spirited campaign for the Democratic nomination, the first woman and first African American to do so. Declaring herself "unbossed and unbought," she took on the political establishment as the candidate of "all the people." country the campaign took on a life of its own. Alben Barkley served in Congress for close to 40 years and was Harry Truman's vice president from 1948-1952. Though he wanted to be President himself, Barkley never made it to the pinnacle of power. Only 14 VP's have gone on to the presidency; the majority have, for the most part, lapsed into relative obscurity once their term was over. Barkley too might have been forgotten except for two things: His nickname and the remarkable circumstance of his death. Contenders is produced by Joe Richman and Samara Freemark of Radio Diaries. The series editor is Deborah George. Producer consultant is Ben Shapiro. Special thanks to Anayansi Diaz-Cortes; Posey Gruener; Dakota Shepard; Stephen Russell,; Shola Lynch of Chisholm '72: Unbought and Unbossed; Angie Stockwell at the Margaret Chase Smith Library; Andy Lanset of WNYC; The Gordon Skene Sound Collection; Stephen Wade; and David Schwartz, of the Museum of the Moving Image and the online exhibition, The Living Room Candidate. 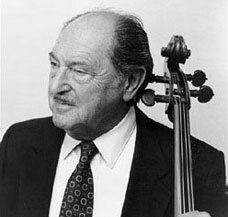 Bernard Greenhouse, 92, was a founding member of the acclaimed Beaux Arts Trio. The trio gave its first performance in 1955 at the Tanglewood Festival in Massachusetts. He performed with the trio for 32 years before pursuing a solo career. He continues to perform and teach. And his cello, a 300-year-old Stradivarius, has been a constant companion. 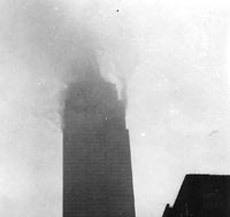 On July 28, 1945 an Army bomber pilot on a routine ferry mission found himself lost in the fog over Manhattan. A dictation machine in a nearby office happened to capture the sound of the plane as it flew by and hit the Empire State Building at the 79th floor. Fourteen people were killed. Debris from the plane severed the cables of an elevator, which fell 79 stories with a young woman inside. She survived. The crash prompted new legislation that -- for the first time -- gave citizens the right to sue the federal government. Over the course of his lifetime Mandela was a lawyer, freedom fighter, leader of the African National Congress, and finally, president. In honor of his birthday, July 18th, we look back at his 1963 treason trial where he outlined his dream of democracy in South Africa and declared, "It's an ideal for which I am prepared to die." It was the moment when Mandela became known to the world as a symbol of resistance and democracy. 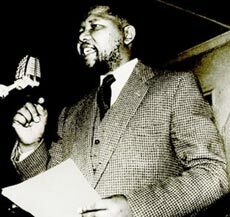 You might also want to check out Mandela: An Audio History, a five-part series documenting the history of Apartheid that we produced in 2004. Paula Bernstein and Elyse Schein were both born in New York City. Both girls were adopted as infants and raised by loving families. They met for the first time when they were 35 years old and found they were "identical strangers". 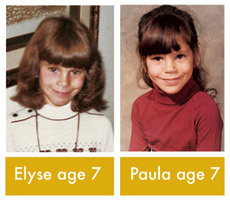 Paula and Elyse then discovered the reason they had been separated as infants: a research study of identical twins designed to examine the question of nature versus nurture. This documentary includes the first tape ever broadcast of Dr. Peter Neubauer describing his secret experiment. The 10th Mountain Division fought in World War Two for only four months, but it had one of the highest casualty rates of the war. 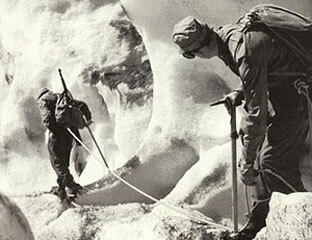 The division started out as an experiment to train skiers and climbers to fight in the mountains. The men of the 10th went on to lead a series of daring assaults against the German army in the mountains of Italy. After they returned home, many of these soldiers helped to create the modern ski industry. 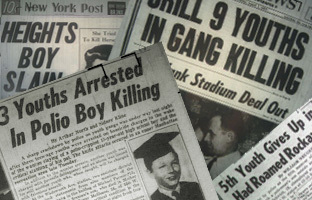 Fifty years ago Monday, Puerto Rican and black gang members in New York City fatally stabbed Michael Farmer, a white teenager. Farmer's killing highlighted the rising problem of gang violence, as well as the city's changing racial demographics. One hundred years ago, on September 8th, 1906, the Bronx Zoo in New York unveiled a new exhibit that would attract thousands of visitors to come and marvel. Inside a cage, in the monkey house, was a man. 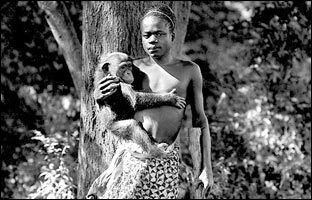 His name was Ota Benga. He was 22 years old, a member of the Batwa people, pygmies who lived in what was then, the Belgian Congo. 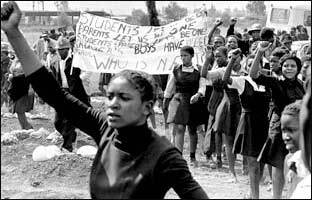 In South Africa, on June 16th, 1976, a group of school children in the black township of Soweto decided to hold a protest. At the time, nobody thought their action would change the course of a nation.